G.P. Putnam's Sons Books for Young Readers, 9780399162459, 416pp. It’s 1954, and Janie Scott is in boarding school in New Hampshire, trying to make a new life. Two years have passed since she last saw the mysterious apothecary—or his defiant son, Benjamin. All she knows is that her friends are out there somewhere, trying to keep the world safe in an age of mounting atomic power. On the other side of the world, Benjamin is treating the wounded in a jungle war, and experimenting with a magical new formula that will let him communicate with Janie across the globe. But Janie has her own experiment underway, and it’s attracting interest from sinister forces. Benjamin calls on their friend Pip for help, and they have to race to find one another, and to unravel the mystery of their powerful new enemies. 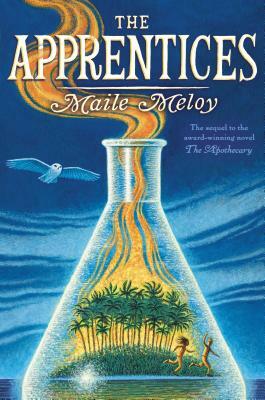 A magical new adventure, following Maile Meloy’s critically acclaimed novel The Apothecary, with captivating illustrations by Ian Schoenherr. Maile Meloy is the award-winning author of The Apothecary, as well as the adult short story collections Both Ways Is the Only Way I Want It and Half in Love, and the novels Liars and Saints and A Family Daughter. You can visit Maile at www.mailemeloy.com. Sequel to the New York Times bestseller, THE APOTHECARY! “This . . . well-constructed adventure accurately conveys the geopolitical instability of the era and is leavened with just enough magic, chaste romance and humor to appeal to middle-grade readers through teens.